Be Well Membership is a VIP membership. Everyone is very important to us, however for those of you who would enjoy an affordable way to receive regular massage, skincare and other holistic treatments we have created our Be Well Monthly Massage & Wellness Membership. Federal Hill studio is now CLOSED. Please visit your favorite Fed Hill therapist at our Fell’s Point location! Hydrate your Winter skin! Schedule your Introductory Custom Facial or Microcurrent Light Therapy Treatment today! Sign up for our Email Newsletter to discover our Monthly Promotions! Restore with a Himalayan Salt Stone massage or Replenish your skin with a Papaya Enzyme Skincare Treatment! Self Care is so important. Let us help you move from a place of imbalance to a state of happy calm. We offer a monthly Be Well membership for massage, skincare, facials, and more. 12 month membership – $79 a month. To sign up – Call 410-637-3760! We believe that when you are living in balance, good things happen. You are more successful in your every day as a mother, father, partner, child and friend. When you are in a state of stress it not only affects you, it affects everyone around you. We would like to take part in reducing your stress and energizing your spirit. 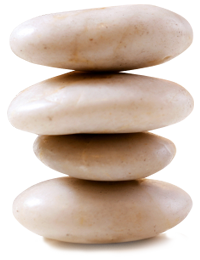 At The Healing Path we know that growing from a place of imbalance to a state of wellness is a process and a journey. At The Healing Path, we know your journey begins here.